I know I'm not the only one who goes in to Primark for a pair of socks and comes out with a whole bag full of things (and no socks apparently). I always end up picking up the most randomest things from Primark, the clothes for me are very hit or miss, despite everyone else being to find super cute things. 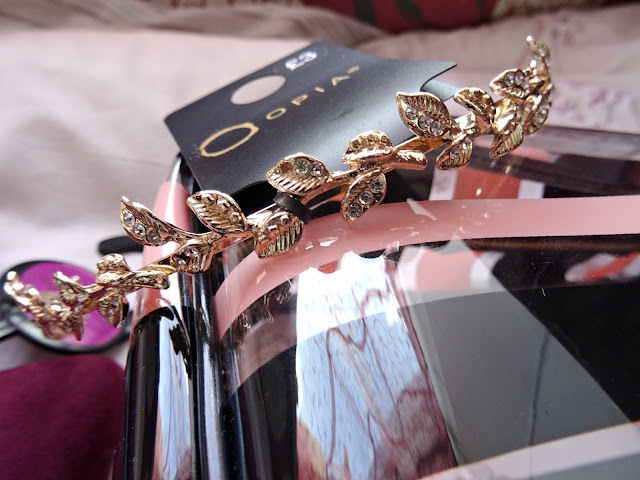 So I thought I'd show you a few of things that I picked up in my recent mini Primark haul. I had to pick up a set of the non-slip hangers from the Homeware section - they're such a boring product but these are so great for baggy tops and cardigens, they hold them so well. I have a set of pink and purple ones too and I just can't have enough! They're only about £3.90 for 10 which I think is a pretty good deal. I've been trying to find a new makeup/skincare travel bag, I like the finish of the Ted Baker bags, but the designs at the moment aren't really what I'm after, so I've decided while I wait to find the perfect one I'd pick up one from Primark. This one was only £4 and it's big enough to put my makeup, brushes and skincare (I hope). I like that you can see through it so it's easy to find things. My biggest pet peeve with makeup bags is when the zip doesn't open fully and you have to take everything out to have a good rummage around. This bag however, has a zip that goes a third down the sides so I can open it wide enough to get into it - perfect! I did want to pick up some fairy lights from Primark as I've seen some cute ones and I think they would make a good prop for my blog pictures. I've seen a lot of coppery ones, but I came across these dainty butterfly ones for the first time and thought they were perfect. They are pretty small but I liked the simpleness of the copper wire and thought they would look cute dangled over my mirror too as they're not too clunky. They were only £2.50 too! I haven't work an Alice band in years! I used to find them quite uncomfortable behind my ears, but this gold leaf edition looked too cute to pass. It's nice and dainty and would be perfect for summer! Even if I do find them uncomfortable I would still use it to keep the hair out of my face while I do my makeup and this was only £3 too! Primark always have a huge selection of shoes and I have to say, I'm always impressed with their collection during spring/summer. There are always so many sandals to choose from! I decided to pick up these burgandy pair of pointed flats. I've seen a lot of people wear similar shoes in this style but in different colours but this colour really caught my eye - it does look a little autumunal but I think this would look cute with some rolled up jeans or dresses (if it ever gets warmer!). These were £8 and I'm sure they had a few other colours too. I can never go into Primark without looking at their Underwear section - I've finally learnt to stay clear from the PJ section! Both of these Brazillian style knickers were £1.70 each. I really like the cut of the Brazillian style knickers as they make your bum look perky af and quite frankly they're more comfortable than thongs. They didn't have many nice patterns in fairness, but these were the only ones that caught my eye. 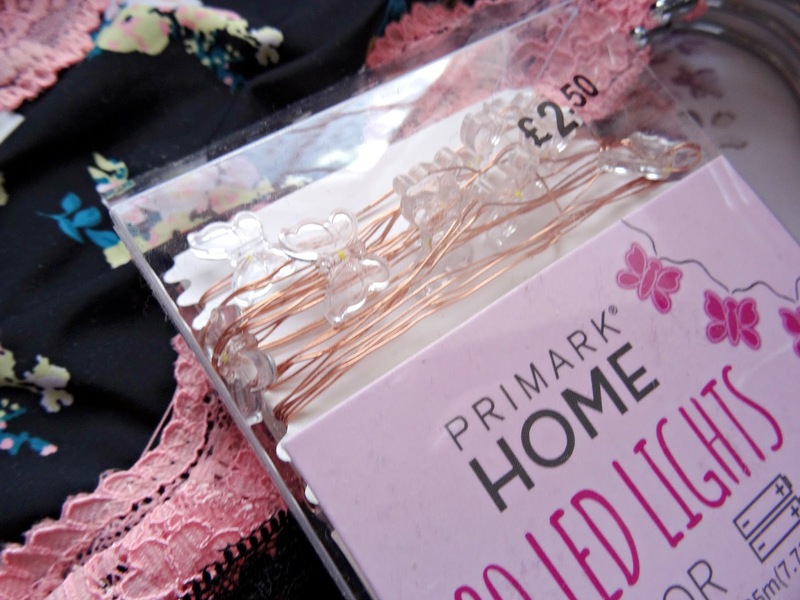 Have you been to Primark lately, what can you not leave the store without buying?